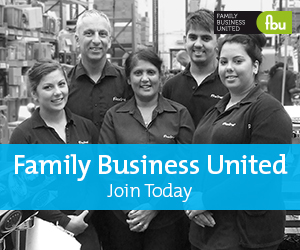 The Family Business of the Year Awards 2018 seek to recognise the best family firms across the UK. We have created a regional structure to the awards, industry sector awards and an overall winner who will be crowned Family Business of the Year 2018 at an awards evening in London. The awards are FREE to enter for family firms of all types, sizes and sectors, and unlike other award events, there is no need to incur the expense of a table for dinner at the awards. 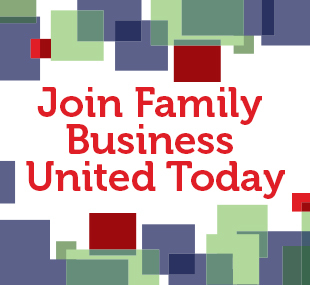 We like to do things differently at Family Business United so individual tickets are available for a Gala Champagne Reception and Awards Evening in the heart of London, enabling shortlisted firms to mingle with each other, share stories and make new friends. The above categories will be determined by our Judging Panel based on the nomination packs submitted by each family business. In addition, there will be a PEOPLE'S CHOICE AWARD that is presented to the overall winners of the online vote and the judges will pick overall winners who will be crowned SMALL FAMILY BUSINESS OF THE YEAR and supreme champions, FAMILY BUSINESS OF THE YEAR. Previous winners of these prestigious awards include HMG Paints, Tim's Dairy, The Skin to Love Clinic, FC Douch & Sons, Bagnalls, English Lakes Hotels, Playdale, G Seller & Co, WTA Group, Aspall, Phillips Brothers (Woodshavings) Limited, Shepcote, Exclusive Hotels & Venues, The Scottish Shutter Company, Bastows, Holts, Kent Brushes, RJ Balson, Fracino, Macsween of Edinburgh, Cropwell Bishop Creamery, Harrison Catering Services, Hoburne Holiday Parks, NBT Group and CPJ Field & Co.